Networking in the Paddock tent,Opening Day at the Track 2019 - Jul 11, 2019 ? LIMITED TICKETS available!!! Hurry ! 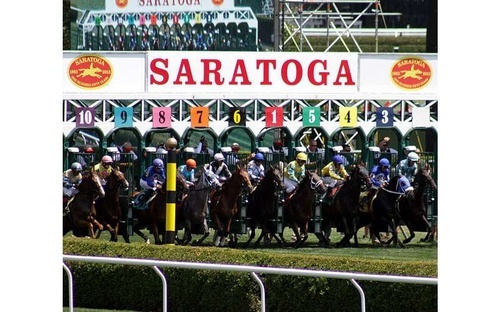 We've teamed up with the BBB and Colonie Chamber of Commerce to celebrate opening day at Saratoga Race Course, Paddock Tent. NEWTORKING at its best ! Join us and meet some amazing people ! The Paddock Tent offers an unbeatable track experience. Situated behind the Clubhouse, the Paddock Tent features broadcasts of the racing, its own betting windows & a clear view of the jockey & thoroughbred prep areas. Additional amenities include a private luncheon & private cash bar for you & your guests.